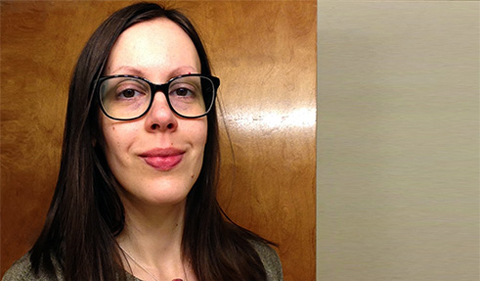 Three History Department faculty members were promoted in rank in June. Dr. Robert Ingram was promoted to the rank of professor. His latest book publication, Reformation without End: Religion, Politics and the Past in Post-Revolutionary England (Manchester University Press, 2018), offers a radical reinterpretation of the English Reformation. “No one in 18th-century England thought that they lived during ‘the Enlightenment,'” Ingram says. “Instead, they thought that they still faced the religious, intellectual and political problems unleashed by the Reformation, which began in the 16th century.” They faced those problems, though, in the aftermath of two bloody 17th-century political and religious revolutions. Ingram’s book is about the ways that the 18th-century English debated the causes and consequences of those 17th-century revolutions and their cause, the Reformation. His first book is Religion, Reform and Modernity in the Eighteenth Century: Thomas Secker and the Church of England (Boydell, 2007). Ingram is now beginning to research his next book project, provisionally titled “Hobbes’s Century: England, Ireland and Religious Establishment, 1689–1742.” He argues that the 18th-century British “talked like Lockeans but acted like Hobbesians.” The book explores that tension. 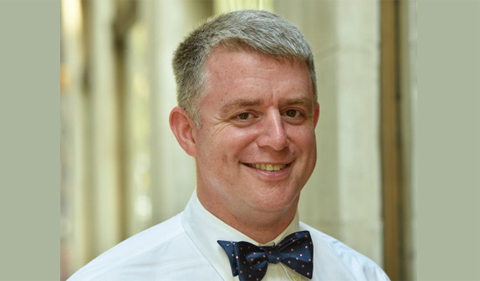 Ingram is also working on an edited volume with Dr. Jason Peacey (University College London) and Dr. Alex Barber (Durham University) titled The Freedom of Speech, 1550–1850, which emerged from a George Washington Forum conference last spring. Dr. Mirna Zakić was promoted to the rank of associate professor with tenure. Her first book, Ethnic Germans and National Socialism in Yugoslavia in World War II (Cambridge University Press, 2017), provides an in-depth study of the ethnic German minority in the Serbian Banat (Southeast Europe) and its experiences under German occupation in World War II. The Banat Germans ruled the Banat on the Nazis’ behalf between 1941 and 1944, yet their wartime choices led ultimately to their disenfranchisement and persecution following the Nazis’ defeat. Zakić argues that the Banat Germans exercised great agency within the constraints imposed on them by Nazi ideology, with its expectations that ethnic Germans would collaborate with the invading Nazis. The book examines the incentives that the Nazis offered to collaboration and social dynamics within the Banat German community—between their Nazified leadership and the rank and file —as well as the various and ever-more damning forms collaboration took. Zakić is also the author of “The Price of Belonging to the Volk: Volksdeutsche, Land Redistribution and Aryanization in the Serbian Banat, 1941-1944,” The Journal of Contemporary History49, Issue 2 (April 2014). Zakić has an article on children survivors of the Holocaust in the Serbian Banat in a forthcoming issue of Holocaust and Genocide Studies. She is also co-editing a volume on German-Balkan relations in the 20th century, which will include a chapter she will author on ethnic German historical memory and the uses of history during and after the Nazi period. 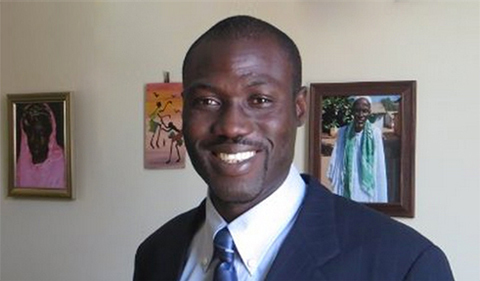 Dr. Assan Sarr was promoted to the rank of associate professor with tenure. His first book publication, Islam, Power and Dependency in the Gambia River Basin: The Politics of Land Control, 1790-1940 (The University of Rochester Press, 2016), analyzes land’s political, cultural and social worth for lower Gambian peasants and elites. Focusing on the period from the late 18th to the early 20th centuries, Sarr points out the spiritual associations land generated and the ways that certain people gained privileged access to those spiritual powers. By emphasizing that the land around the Gambia River both inspired and gave form to a cosmology of ritual and belief, the book points to what might be considered an indigenous tradition of ecological preservation and protection. The book places this analysis within the context of key events in Senegambian history, namely, the rise in “legitimate” (or nonslave) trade at the end of Atlantic slave trading, the incursion of British authority, a rapid change to cash cropping, the decline of existing political systems, the spread of Islam, and the imposition of formal British rule. Sarr is also the author of a number of articles and chapters, including “Gender, Spirituality and Economic Change in Rural Gambia: Agricultural Production in the Lower Gambia Region, Eighteenth through the Twentieth Centuries,” African Economic History 45, 2 (2017). Sarr is currently working on a book project that traces the life of a Creole family that unfolded in parallel and overlapping fashion in West Africa and beyond. By focusing on the story of the Forster family (c. 1873-1940), the book hopes to provide a rare glimpse into how a Liberated African family dealt with both slavery and freedom as well as being a wealthy, elite family in an English colony in West Africa where violence, forced labor and exploitation were common.